Possession of a Fake ID in Florida | T. Martin Knopes, P.A. 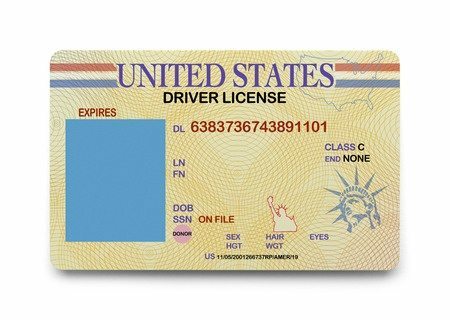 In many states, possessing a fake ID is considered a misdemeanor. However, fake ID laws in Florida were passed in October of 1997 that made the crime a felony. If you are arrested in Florida and charged with the possession of a fake ID, it’s important to work with a criminal defense lawyer who can advocate for your rights and fight for your freedom. Here’s what to know about being caught using a fake ID in Florida and who you can call for help. In Florida, the possession of false identification is not tolerated well. In fact, those found guilty of the crime stand to face penalties that could permanently alter their future. Fake ID’s are considered any identification not produced lawfully by a state or government agency. The fine can be as high as $5,000. Additionally, those convicted could face up to 5 years in a state prison facility. Also, they will have a permanent criminal record for the rest of their life. Lack of knowledge that the identification was false. The prosecution needs to prove that you knew the ID was fake. If they do not have evidence that suggests you knew the identification was false, the charges could be dropped. Lack of possession of the identification. If the police didn’t find the ID on your person or in a place that only you had access to, you may be able to argue that you never actually possessed the ID. This is true even if it’s your photo on the front. Lack of intent to use the ID for illegal purposes. If the police only found the ID on you, but didn’t see you using the ID and if the prosecution has no witnesses that you used the ID, you could argue that you did possess the ID but did not plan on using it for anything illegal. Contact T. Martin Knopes, P.A. If you are charged with the possession of a fake ID in Florida, do not waste any time in securing comprehensive legal advocacy. In fact, your rights and your future are on the line. It’s in your best interest to work with a criminal defense lawyer with experience defending individuals against these charges. Contact T. Martin Knopes P.A. today for more information and to set up a consultation by calling (850) 683-0700. When Does a Traffic Stop Lack Probable Cause? Can I Fight a Blood Test? How Can My Lawyer Help Me Beat a Drug Charge? How Can I Improve My Case While I Wait for My DUI Trial? What Happens When You Violate Probation in Florida? Disclaimer: Disclaimer: The information you obtain at this site is not, nor is it intended to be, legal advice. You should consult an attorney for advice regarding your individual situation. We invite you to contact us and welcome your calls, letters and electronic mail. Contacting us does not create an attorney-client relationship. Please do not send any confidential information to us until such time as an attorney-client relationship has been established.